This year’s Oconee County High School Alumni Reunion was hosted by the OCHS Class of 1957, the first Senior Class of the consolidated Oconee County High School on Mars Hill Road. 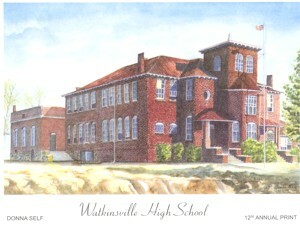 Prior to the fall of 1956, there were two High Schools:Watkinsville High School and Bogart High School. Rivalry was fierce between the basketball teams.Both schools had loyal followings that cheered for their teams in the Old Gym at Bogart and the Old Gym at Watkinsville. 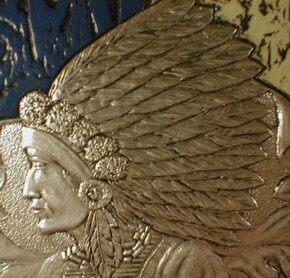 Donald Hogan, OCHS Class of 1957, read an article that he authored about the Birth of the Warriors and how the schools merged. 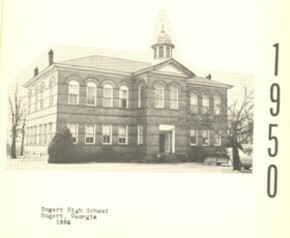 Donald Hogan pointed out that we all came to the new school in September 1956 as “Watkinsville Students” and “Bogart Students” and left as Oconee County High School graduates. It was a poignant piece that everyone enjoyed. About 400 persons registered for the Reunion and approximately 375 people attended. With increasing graduating classes, the Alumni Association and Annual Banquets will be stressing the size of the Oconee County Civic Center. A local group performed some Elvis Pressley songs that everyone enjoyed. A new Oconee County High Schools Alumni Association was formed recently and has established a Website and established a data base of graduates. It will be helpful in continuing the reunion and camaraderie and sense of community that a community needs in order to have “soul”. The Association will include graduates of all Oconee County Schools: Watkinsville, Bogart, Oconee County High School, Rosenwald, Ed Stroud and North Oconee High School. Betty (OCHS 1958) and I started attending the banquets about 20 years ago when I held Elected Office. Many of the graduates of the 1930’s and 1940’s (including relatives) have passed on. Attendance has picked up as classes age. It takes about 30 years out of school for people to start enjoying the reunions. Aging & time make old friendships and memories richer. My Class of 1958 will be the host (50th Anniversary) next year. Our group has held a reunion every year since we graduated. Now we have a June reunion and a get-together at the Blue Willow for Christmas Attendance is increasing every year.